Boston has always been a fun town to visit. It has unmatched historical points of interest as well as great restaurants and scenic places to run. My favorite time to visit Boston is in the spring when the leaves and flowers are just beginning to open. The snow has melted and the days are beginning to warm. Spring is when runners get serious about their training for the Boston Marathon. The Marathon takes place on a special Monday every year. The third Monday in April is Patriots’ Day, a holiday for commemorating the anniversary of the Battles of Lexington and Concord on April 19, 1975. These were early battles of the American Revolutionary War. 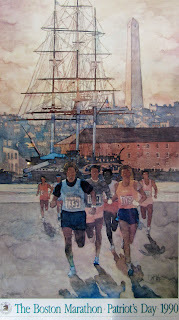 I have made the pilgrimage to Boston several times to join fellow athletes on the starting line of the Boston Marathon. The training runs along the Charles River, Race Expo, and pre-race pasta feed enhances the excitement for race-day. 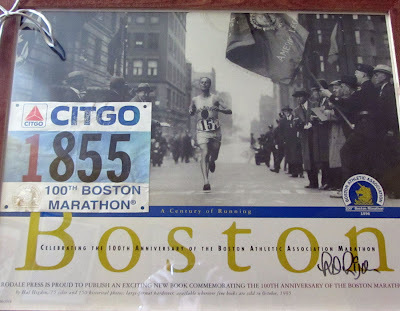 I am always amazed with how friendly and helpful Bostonian’s and visiting runners are. Everyone wants you to have a good run. The whole city is like family. By the time you get off the buses in Hopkinton, 26 miles outside of Boston, everyone is full of nervous energy. No matter how many times you have run this race, you know this day will be special. The spectators and volunteers are the best in running. Boston seems to have the loudest, most enthusiastic, encouraging, fun, and helpful bunch of people lining the course. I like the unofficial family aid stations along the way. Little kids hand out water and orange slices. Spectators of all ages hold their hands out to get a hand slap from the passing runners. If you wear a shirt with your name on it, they yell your name. Wear your city name and they shout your city. Walking is not an option. The spectators scream at you to keep running. Running down Boylston Street to the finish is unlike any other finish line. There are thousands of people lining the streets to watch and encourage everyone across the line. The feeling of being part of the Boston tradition always exceeded any personal satisfaction I felt from finishing the race. Boston always made me feel like a winner. 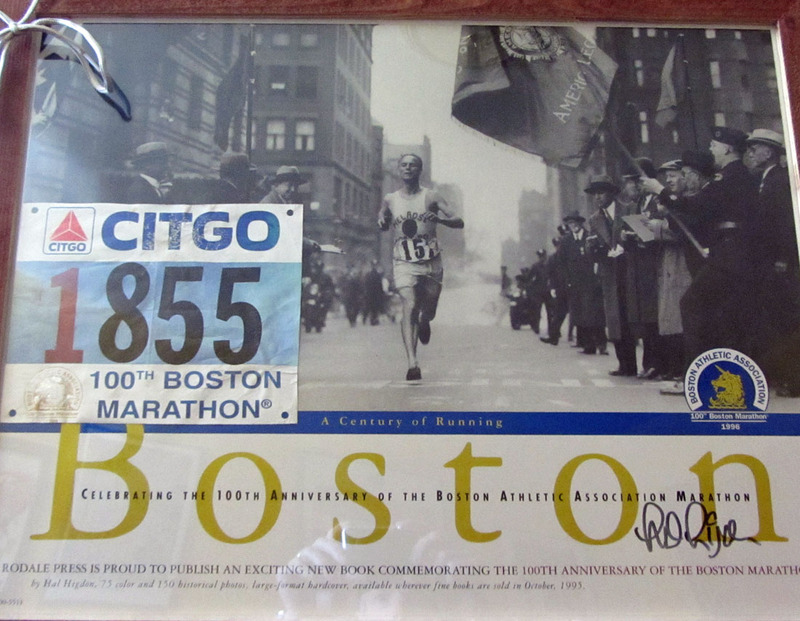 I last ran the Boston Marathon in 1996 for the 100th year anniversary. I have fond memories of the place, but had no plans to return. After the bombings this year, my memories seem tarnished. I will return to Boston to renew those old memories. 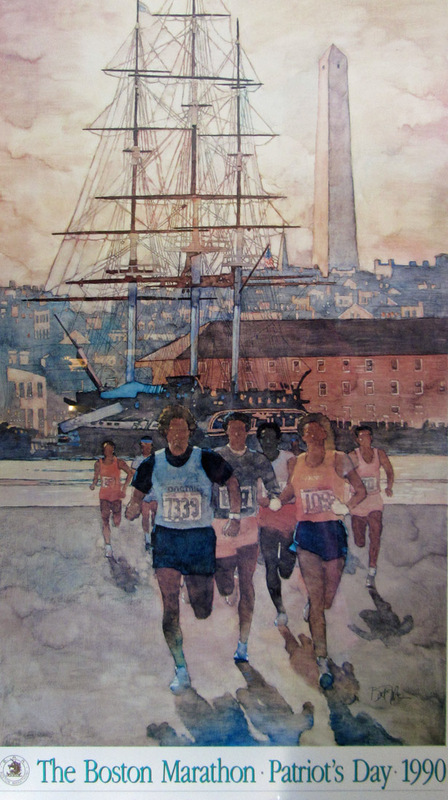 Bostonians and my running family are resilient and will not be deterred.